The Chinese woman at the center of a recent security breach at President Donald Trump's Mar-a-Lago country club was denied bond Monday after she pleaded not guilty in federal court in Florida. 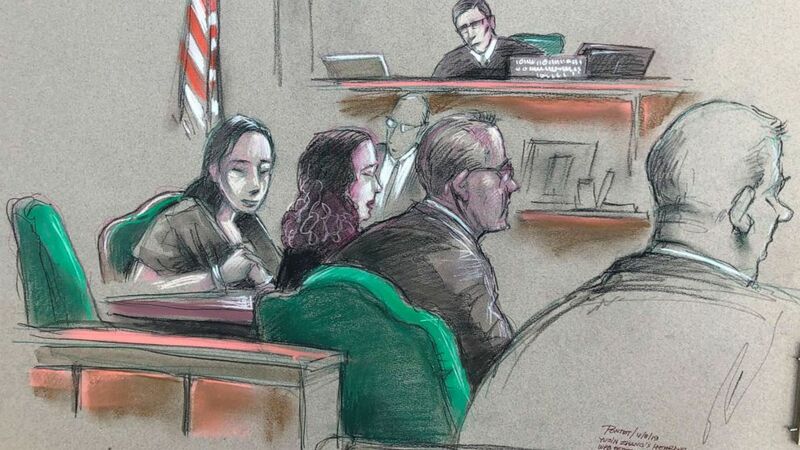 Yujing Zhang, 33, is accused of lying her way through two security checkpoints at the "Winter White House" in late March before she was identified by a receptionist as not being on the club's access list. In previous testimony, a Secret Service agent painted the supposed malware as invasive and claimed that an analyst had to shut down his computer after plugging the thumb drive in to "halt any further corruption." But on Monday Assistant U.S. Attorney Rolando Garcia revealed that the identification of the malware may have been a "false positive" and that additional analysis had been unable to replicate the drive's actions that had caused concern. Still, U.S. Magistrate Judge William Matthewman indicated the court remained suspicious of Zhang's defense after a host of other electronic devices allegedly was found in her hotel room, including another cell phone, several SIM cards and a device designed to detect hidden cameras. "It does appear to the court that Ms. Zhang was up to something nefarious," Matthewman said. Matthewman ordered that Zhang remain in custody ahead of trial, saying that if released, the court feared she would "flee" to China. A public defender for Zhang argued Monday that it was all a "genuine misunderstanding" and that Zhang had been accidentally allowed in the club because she had the same last name - a very common one in China - as a club member. In a previous detention hearing, Zhang's attorney suggested she had gone to the club for an event that evening that had been canceled. But Monday, prosecutors presented evidence they called communications between Zhang and a man who was promoting the event. They said they showed that Zhang was aware two days before she left China for the U.S. that the event had been canceled. On Monday, Zhang's attorneys told the court Zhang wanted a jury trial and that she "wants her name cleared so she can continue her career in finance and business." Zhang is not charged with any espionage-related crimes, but prosecutors said last week that possibility was still under investigation. On Monday, prosecutors said the analysis of Zhang's electronics remains ongoing and that there could be additional charges. Some experts have told ABC News they're skeptical of what they said would be "terrible tradecraft" for a professional spy. "There are aspects of this that don't make her seem like such a high-tech spy, at least in terms of what we've seen so far," said Marcus Christian, a former executive assistant U.S. attorney in Florida's Southern District where the case is playing out. "But it remains to be seen what other evidence might emerge in this case." "Mar-a-Lago presents a different protective environment because it's almost like you have a private residence with a public space," Don Mihalek, a former senior Secret Service agent and ABC News contributor, said after the incident. "Other presidential residences, they're pure residences. ... Mar-a-Lago is both a private residence and a private club that allows members in." President Trump wasn't at the club at the time of the incident, instead visiting a nearby golf course.